Upcycling is fun, en vogue, and arguably a good practice for the planet. The popularity of this form of creative reuse has exploded over the past decade, even making its way into luxury brands. It’s got a little problem, though—we can’t seem to agree on what it actually is, and which items qualify as “upcycled” or not. Sometimes, it’s conflated with “creative reuse.” They’re both inventive ways to decrease our appetite for brand new materials and products, and they extend the life of old objects, keeping them out of the landfill a little longer. In other words, upcycling isn’t just recycling, it’s a type of recycling that creates something better and more useful out of materials that were less useful, on their way to being discarded, or unwanted in some way. Hence the “up” part. On an industrial level, it’s possible to calculate the costs and benefits of upcycling to some degree, and that’s how you know if the end product is actually upcycled. On a smaller scale—especially for the independent craftsperson—it’s a little more nebulous and subjective. Now, why do these distinctions matter to us, the makers, or to the consumers? I propose that these two terms mean different things, and that we take time to ponder them a bit before categorizing our own products. Is this “upcycling” or is it “creative reuse”? “Creative reuse” implies that something is simply being reused in a new and differently way. It doesn’t necessarily have to become something of “better quality” made from things that would be discarded. However, if it’s being used to replace an item that the owner would have otherwise purchased brand new, then there is a decreased impact on the environment. Both of these practices can prevent things from ending up in a landfill, both decrease demand for newly-manufactured goods, and both are a fun exercise for the brain. How do we even begin to determine whether these characteristics apply to what we’ve made? There’s no one “correct” way of going about it, but I’d like to suggest a list of questions we might ask ourselves when we make new things out of old things, or use them for something new. 1. Would the original object/material be more useful in its original form? Here’s an example: let’s say I take an old-but-decent-looking t-shirt, cut it up, and turn it into a fabric wreath that I hang on my door. Is it more useful now? In an aesthetic sense, maybe. Could that t-shirt have been worn by someone else if I had donated it? Perhaps. To muddy the waters even more: there’s an obscene amount of clothing waste in the world. Some of it ends up being used again by another person, some of it ends up as rags for industrial purposes, some of it gets recycled, and some of it ends up in landfills. You may find that you have a clear “yes” or “no” answer to this question, or things may remain a little ambiguous. That’s okay. 2. Am I turning recyclable or biodegradable goods into something that can only end up in a landfill? Sometimes we combine things that have different end-of-life scenarios: glitter on paper, fabric with plastic, etc. Unless the consumer chooses to meticulously pick apart each component before getting rid of the item (which is bound to happen at some point), it will end up in a landfill, which is part of our environment. 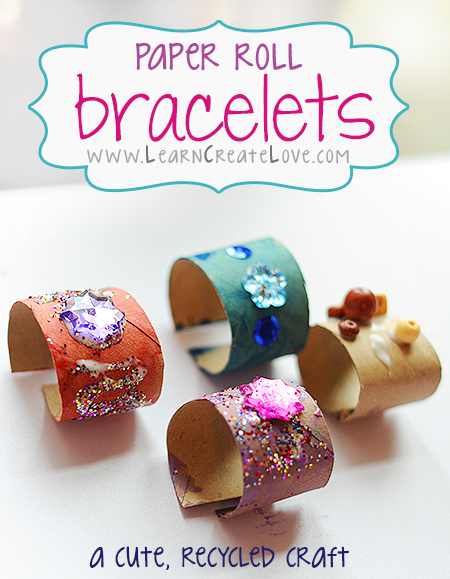 Take these cute, cardboard tube bracelets for example. They’re easy to make, creative, fun for kids, and they use cardboard that might otherwise be discarded. However, they’re not long-lasting and will eventually end up in the trash. Create reuse? Sure. Upcycling? I lean towards “no” on this one. But, if you were going to use brand new materials (cardstock, pre-made plastic forms) and instead chose to use something already in your home, then that’s a win to me! 3. Am I wasting parts of the old items in the process of upcycling? Once again, t-shirt crafts in particular come to mind. 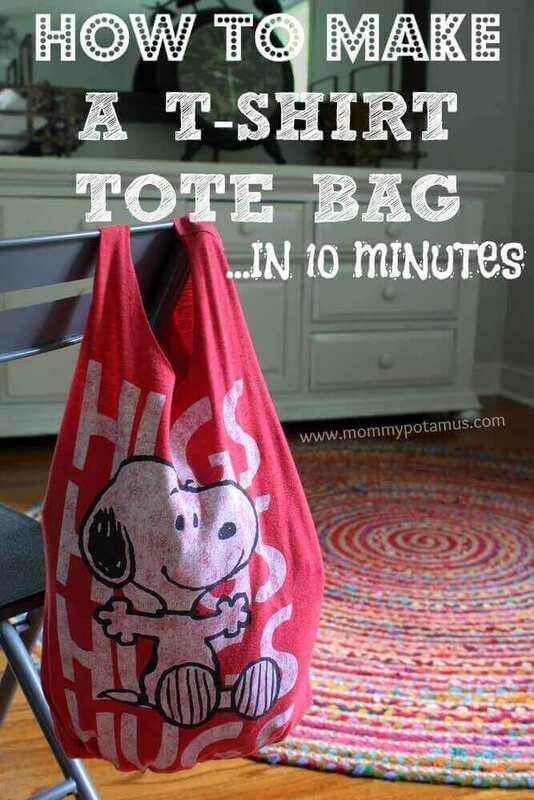 I’ve seen tutorials for turning 2/3 of a t-shirt into a handy reusable shopping bag, while the sleeves and neck of the t-shirt are unaccounted for. What do we do with them? Can we find another useful, purpose for those leftover bits? Turning an entire item into something of equal or greater utility or value passes my “upcycle filter,” but wasting (i.e. throwing away) materials along the way does not. However, I would make room here for creating things that you truly need much more than the old item, and wouldn’t otherwise have access to. And, let’s be honest, most handmade endeavors produce some waste, some unused bits. 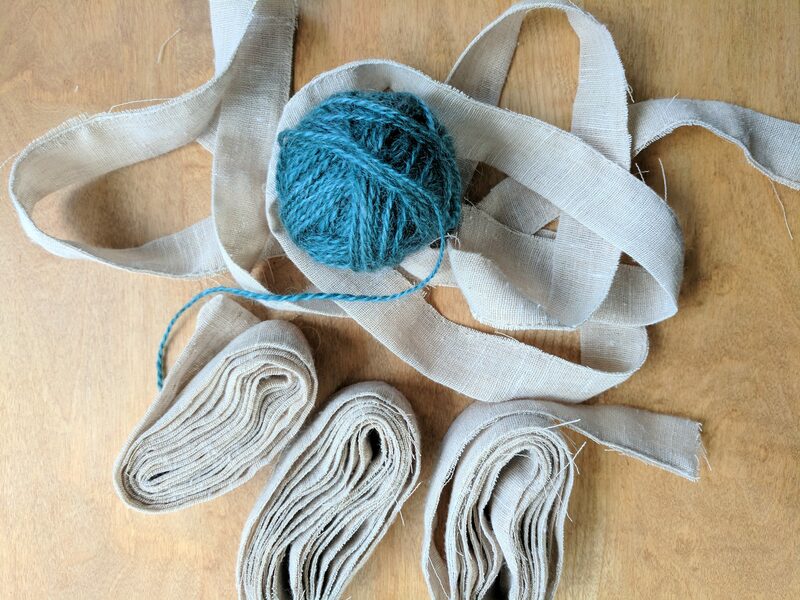 If you have the space, start a bag for little scraps of fabric, pieces of paper, remnants of yarn. You may not have a use for them now, but they might become a valuable part of your next project! 4. Was the old item easily recyclable? Some materials are relatively easy and cost-effective for the recycling industry to process. Here’s a good list of those things (think: aluminum cans, newspaper, PET plastic). Were you going to use that material anyway, but in its newly-manufactured form? Could you use other similar materials that cannot be recycled and will end up in a landfill? If you’re making something that’s only meant to exist for a few days, weeks, or months (think: many children’s crafts), see if you can design a project that keeps easily-recycled materials separate from those that are not. These are just the questions I’ve considered so far. You may have questions of your own, or you may come up with some points I haven’t considered. I always welcome discussion on the topic! If you’re exasperated and confused now, take a deep breath. It’s not the job of any one individual to solve the world’s waste and over-consumption problems. The questions I’ve proposed are complicated, and you probably won’t have clear or obvious answers to them. What about me? I’m not a perfect upcycler. That’s not even a thing that exists. I still use some new materials, and sometimes my upcycling is a little more like parallel-cycling, or creative reuse. One of my upcycled-fabric baskets with remnant/thrifted yarn. What I do have now is an awareness of what I’m actually creating, and I continue to reflect on my impact on the environment and our world—even if it’s in very small ways. When I cut up old sheets, for example, I try to find ones at the thrift store that are very old, shabby, stained (yes, I wash them), or otherwise don’t seem like they’re going to end up in someone’s shopping cart to be reused for their original purpose. Finally, turning excess “stuff” into new things is just one part of the solution. As makers and consumers, we need to also be aware of the upstream problem: there’s too much “stuff” in the first place, and some of it is harmful to the environment and our bodies. The good news is that it’s possible to move forward with up-cycling that’s just as fun and not as wasteful or environmentally harmful. Making our best efforts to reduce impact can become a fascinating game, and lead to new skills and knowledge. The best part is that there are so many great resources out there, and so many other eco-conscious upcyclers, that you won’t be alone. And you’ll have a lot of new things to search for on Pinterest.